In Q1FY19 Bharti Airtel reported a net profit of INR 97.3 crore, down 74% YoY, and a consolidated revenue of INR 20,080 crore, also down 9% YoY. The company has renewed its focus on African Operations which helped the revenues go up by 8.89% YoY. The company has planned to invest heavily in its African operations as there is a massive potential to grow. In its African operations, while mobile data traffic grew by 75% YoY, data customers increased by 45.2% YoY to 26.4Mn. According to reports, as on June 30, 2018, the company had an aggregate customer base of 91.2Mn as compared to 76.9Mn in the corresponding quarter last year, an increase of 18.6%. Airtel currently operates in 14 countries in the continent. While 9 of those countries have Airtel’s 4G network and Airtel Money is available in all of them. 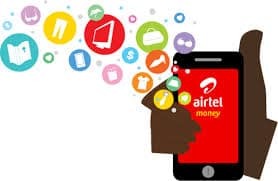 The company in a statement said that Airtel Money’s customer base in the continent increased to 11.8Mn and the total transaction value on the platform by 43% on year. Airtel Money contributes to 5% of all revenue from Africa. The company has received the mandatory approval from both RBI and UIDAI to commence operations in India. According to reports, Airtel faced “sustained pricing pressure” in its Indian mobile business which incurred losses. The company now plans on improving network experience in order to win some of its customers back. “Aggressively expanding our 4G capacities and continuing to offer highest data speeds to customers remains a key priority for us, and towards this end, Q1FY19 (Apr-Jun) has seen our highest quarterly CapEx spends,” Vittal said as in a release. Airtel Money Contributes to 5% of All Revenue From Africa 0 out of 5 based on 0 ratings. 0 user reviews.